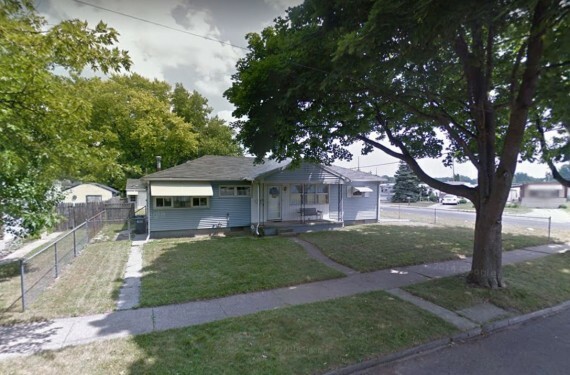 Past Real Estate Auction | 1829 Homestead St.
1829 Homestead St, Toledo. Minimum Bid only $25,000! Please read carefully; these terms and conditions are absolute and cannot be altered or changed in any way. If you cannot follow these terms 100%, you are welcome to stay as a spectator, but do not bid. If you do not understand these conditions, please ask the auctioneer or one of the staff BEFORE bidding. •10% BUYER'S PREMIUM WILL BE ADDED TO LAST BID TO ESTABLISH FINAL CONTRACT PRICE. •$2500 DEPOSIT DUE IN FORM OF CASH OR CHECK IS DUE AT SIGNING OF CONTRACT IMMEDIATELY AFTER CLOSE OF AUCTION. IN THE EVENT BUYER DOES NOT CLOSE PER TERMS OF THE CONTRACT, THE DEPOSIT IS NON-REFUNDABLE. •CLOSING MUST OCCUR WITHIN 30 DAYS OF AUCTION. •PROPERTY IS BEING SOLD AS IS, WHERE IS WITH NO WARRANTIES, REPRESENTATIONS, OR GUARANTEES EXPRESSED OR IMPLIED AS TO THE QUALITY, CHARACTER OR CONDITION. NO CONTINGENCIES; PURCHASE IS NOT CONTINGENT ON FINANCING OR INSPECTION. BUYER MUST RELY EXCLUSIVELY ON THEIR OWN PRE-AUCTION INSPECTION OF THE PROPERTY. •ANNOUNCEMENTS MADE DAY OF AUCTION TAKE PRECEDENCE OVER PRINTED MATERIAL. Closing must occur within 30 days of sale. Realtors must register 24 hours in advance of sale and attend auction with their clients.